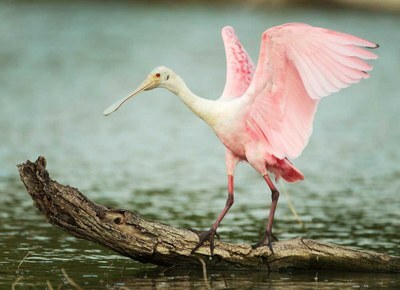 The 230-acre Estero Llano Grande State Park has the largest wetlands en­vi­ron­ment in the World Birding Center network. It sits alongside the Arroyo Colorado, a stream that split from the Rio Grande. 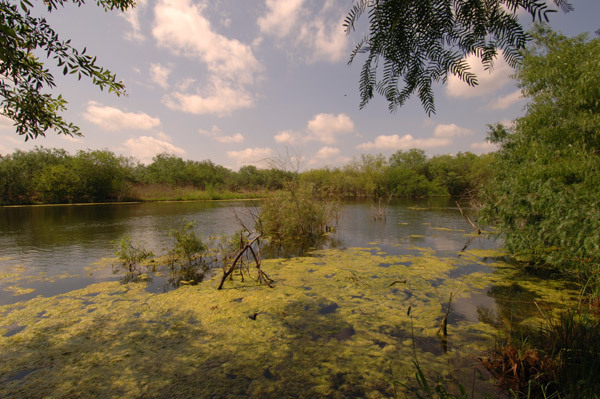 A shallow lake fringed with marsh cane and native Rio Grande woodlands and shrub­lands add variety. The land here was once a mosaic of woodlands, shrublands and grasslands. In the 1750s, Spanish settlers introduced cattle and sheep ranching to the Rio Grande Valley. Grazing changed the landscape. It changed even more during the “Magic Valley” agricultural and real estate boom of the early 1900s. Agricultural practices contributed to ero­sion and “siltation,” which is when sand and clay enter streams and rivers. Siltation makes water cloudy, which may kill some species of fish and plants. It may also accumulate on creek and river bottoms and reduce water flow. Since TPWD took control of the land, biologists have worked to restore it to a more natural state. Water is the magic ingre­dient for attracting wildlife, so biologists first focused on building ponds. Four ponds of varying depths with intermittent mud flats provide food and shelter for resident and migrating water birds. Park staff have also re-introduced native plants throughout the park. An amazing array of wildlife lives in or passes through the Lower Rio Grande Valley and the park. The area is at the northern range limit for many tropical species. The park sits on a major bird migration pathway along the Gulf of Mexico’s coastline. 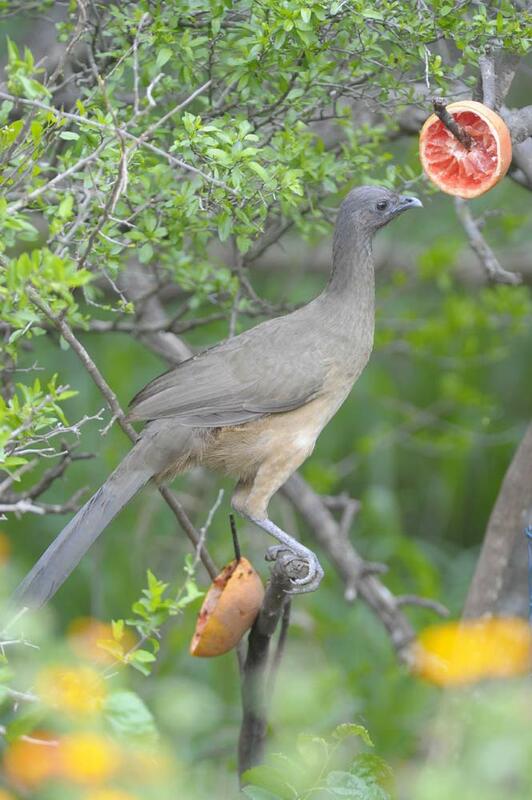 Estero Llano Grande has a well-deserved reputation as a can’t-miss birding des­ti­na­tion. In late summer, when water is at a pre­mium, hundreds of waders and shore­birds flock here. This includes the Wood Stork and colorful coastal species like the Roseate Spoonbill and Ibis. Mi­grating waterfowl also make a beeline for the park’s narrow, shallow lake. Elsewhere, woodland and thorn scrub har­bor must-see Valley specialties such as the Groove-billed Ani and Altamira Oriole. You may even spot rare Red-crowned Parrots and Green Parakeets.